Gorgeous Clarissa - the eco shopper from Showpony featuring stunning vintage evening handbag print in royal blue. 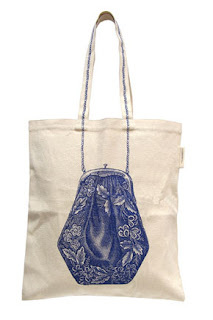 Not only is this an easy way to ensure your green credentials (reusable, washable and made from organic cotton) it is also the prettiest bag-for-life we have ever seen, sure to make you the envy of any supermarket sweep. 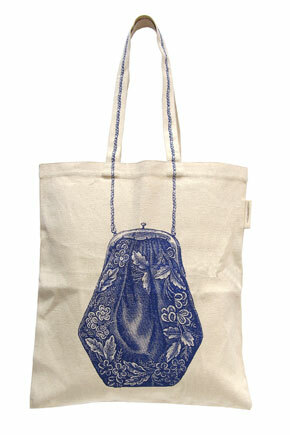 At £15, this also makes for the perfect budget friendly pressie for the vintage lover in your life. Buying beans has never looked so good.